This is the best Super Soaker I have ever used, in my opinion. The range of this soaker is awesome. The colors are okay, but the green or orange could give away you position. 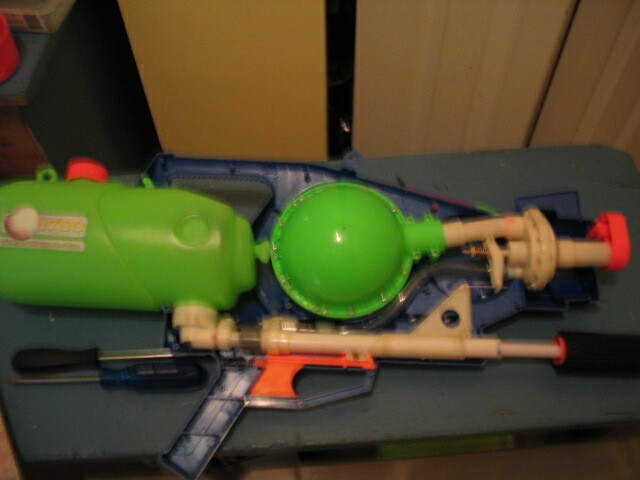 The trigger of this weapon is very sturdy but the pump feels weak. I already have broken one of these weapons. It is very heavy, because it holds a lot of water. This soaker was a replacement for the CPS 1500, and I believe they worked out most of the kinks. Like the 1500, the 1700 has two nozzle settings: 5X and 10X. I prefer 5X, because it has the most range. Since this soaker is heavy, Larami included a strap. The CPS 1700 takes 30 pumps to get it to its full potential. 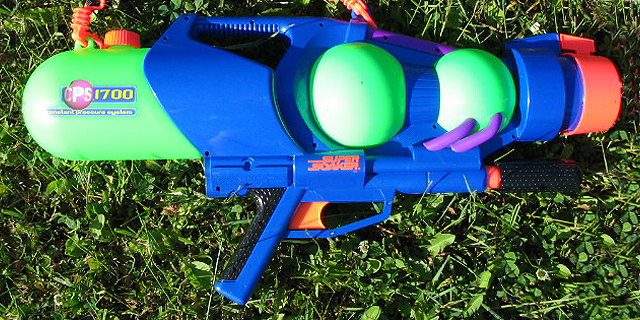 This soaker is a must have but it has been discontinued, so if you want it, eBay is your best chance of getting one.